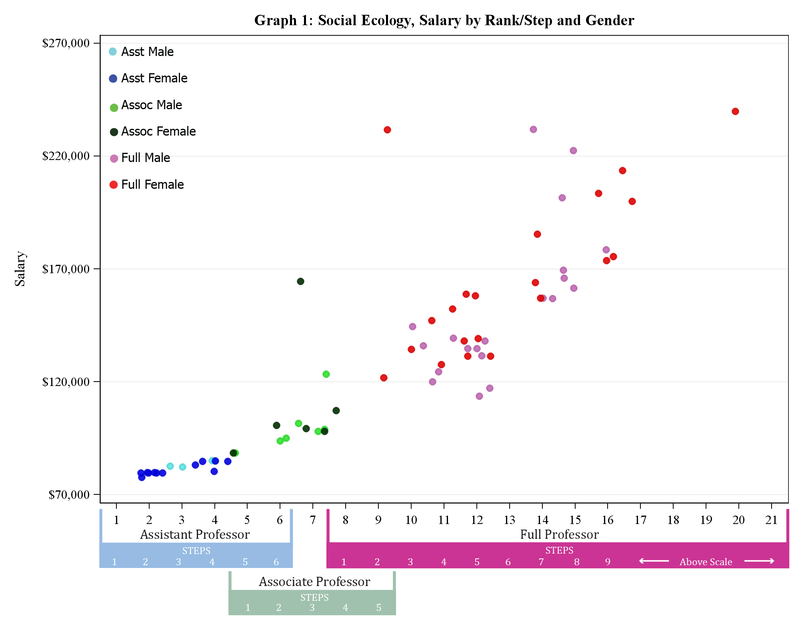 The salary data for all Ladder Rank Faculty in the School of Social Ecology are plotted below. 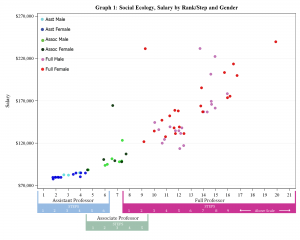 Multiple regression analysis of salary vs rank/step. 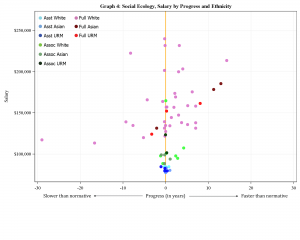 As indicated in Table 1, simplest model with only demographic variables shows that relative to white male faculty, women earn salaries that are 5%lower, Asian faculty earn 20% and URM faculty earn 21% lower. 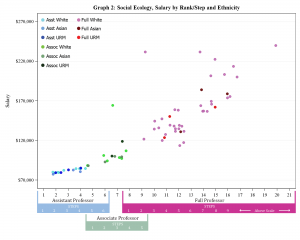 Only 10% of salary variation is explained by this model. 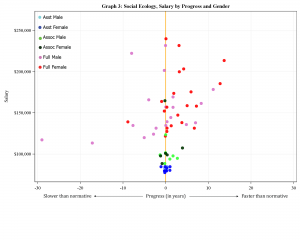 After all control factors are added, 88% of salary variation is explained bya model with demographic, experience, field, and rank variables. 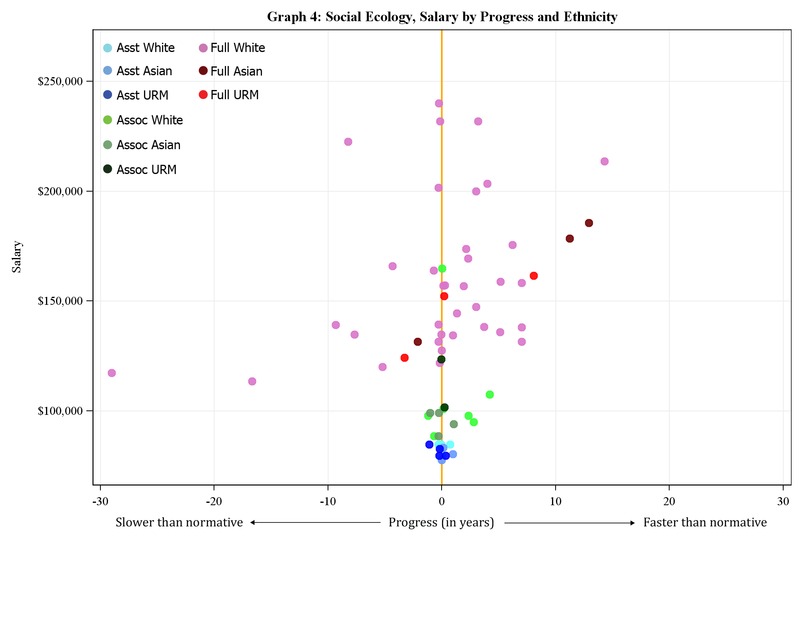 After adjusting for covariates, relative to white male faculty, salaries are 0.4% higher for faculty who are women, 5% lower for Asian, and 2% lower for URM faculty. This model also shows demographic variables are not statistically significant. 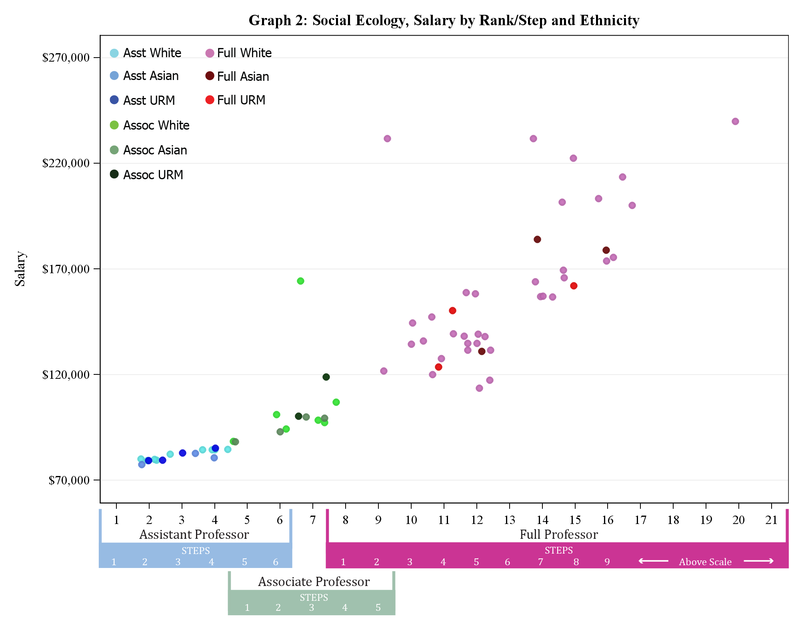 The progression data for all Social Ecology Ladder Rank Faculty, are plotted below. Normative progression is defined in the Progression Matrix. Using a simple t-test, results indicate that there is no statistically significant difference in progression rate means by ethnicity when compared to white male faculty. 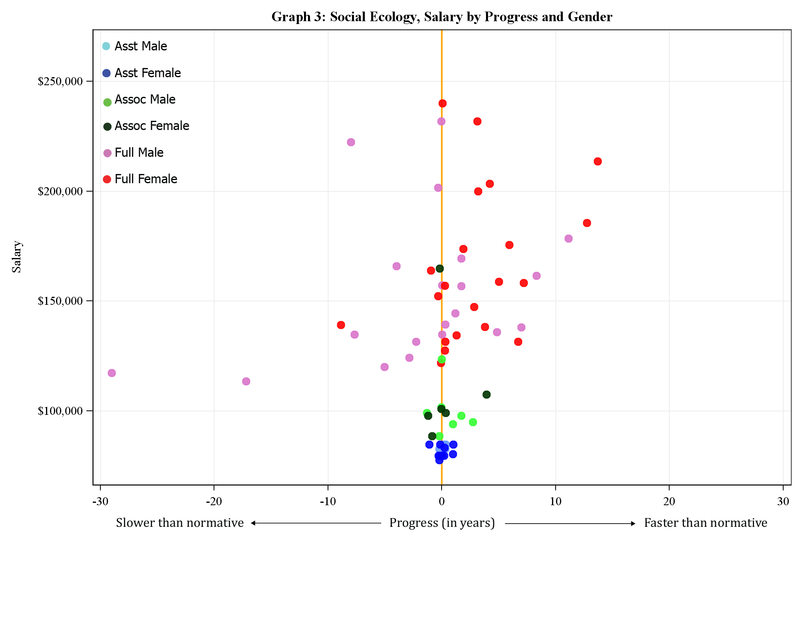 However, female faculty progressed at a rate that is 4 years faster than white male faculty. Normative progression is defined in the Progression Matrix.